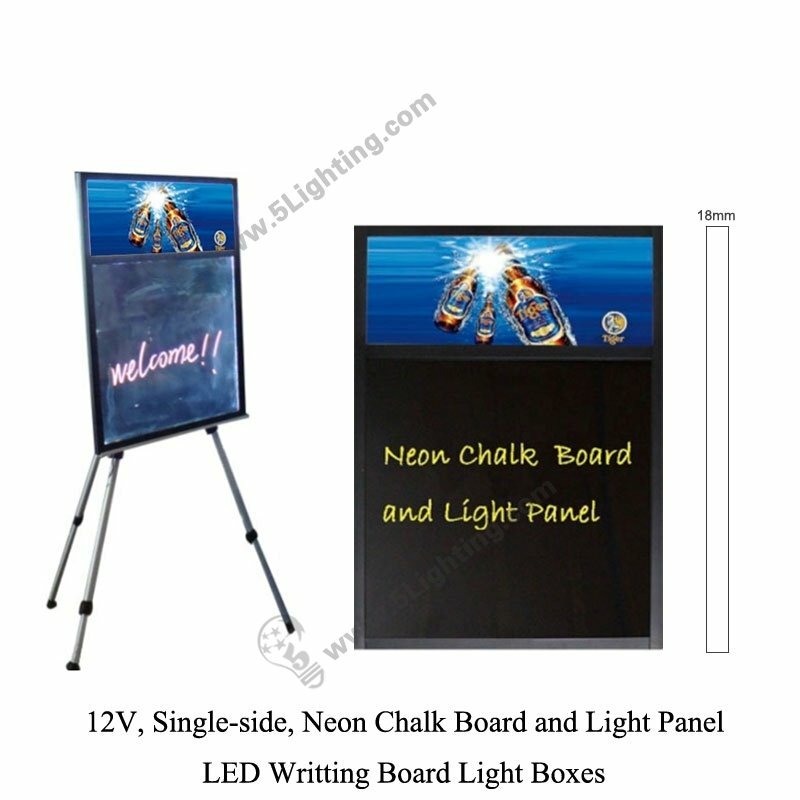 LED writing board light boxes, ultra-thin neon chalkboard signs. 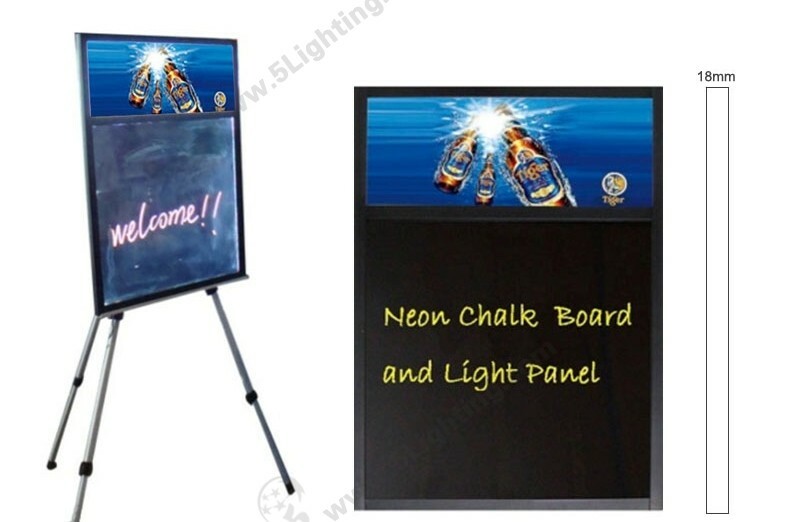 Application: Widely used for signs, notice and billboard usage. 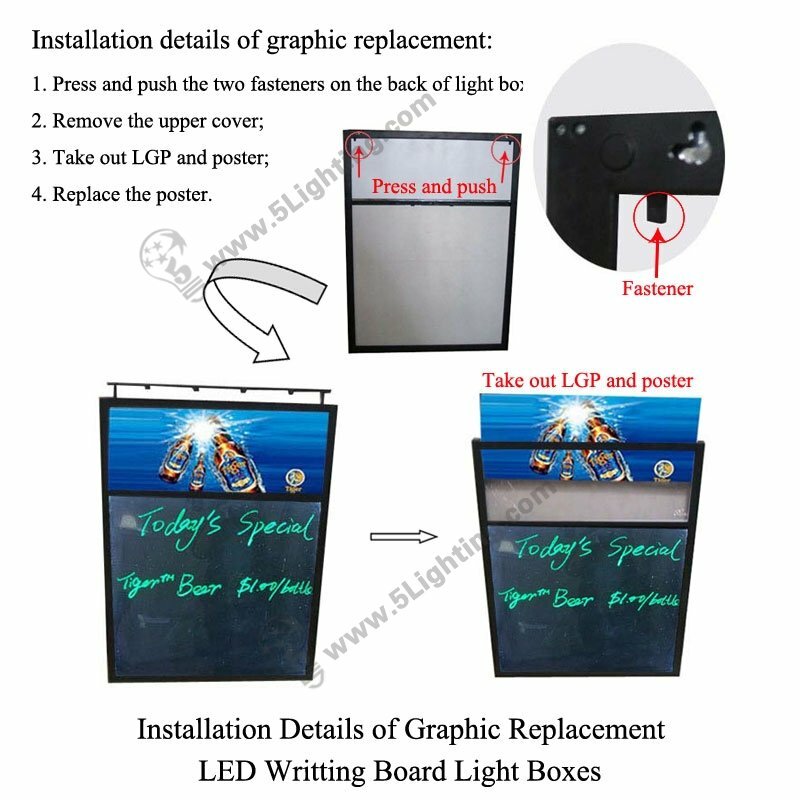 f): Easy to installation and two ways for options, only need to press and pull that fastener firstly, remove the upper cover, and take out LGP and poster and then replaces graphic as you want to display, it can be hanging on the wall or putting on a tripod. 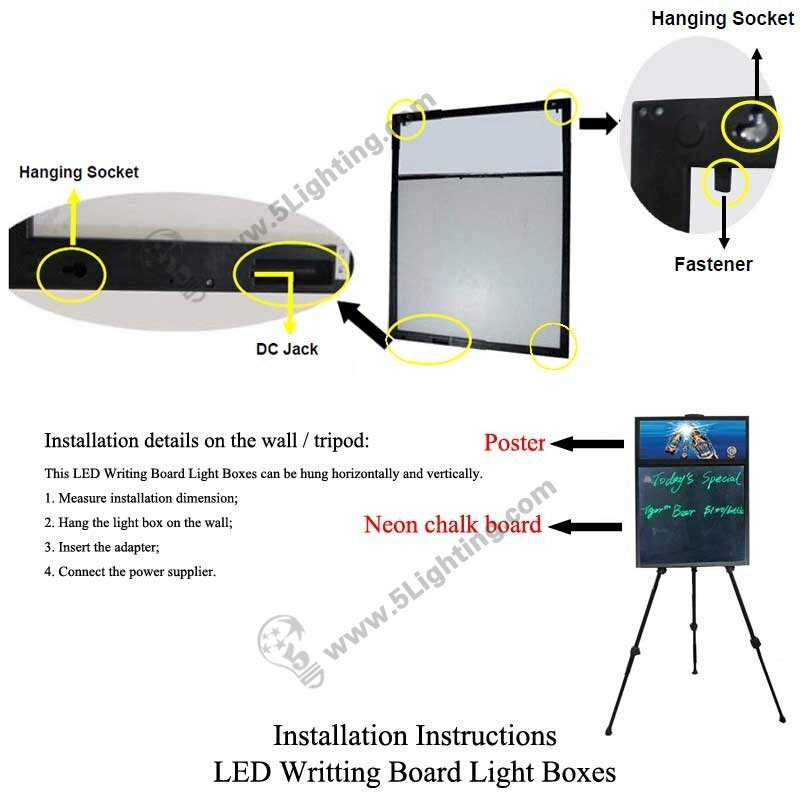 Wholesale LED writing board light boxes adopts LED chips as lighting source, with 12V low voltage, extremely low power consumption and energy saving, there is a rewritable blank space of neon chalk board available to write down your own display information, perfect combination of neon chalk board and light panel, Widely used for signs, notice and billboard etc. 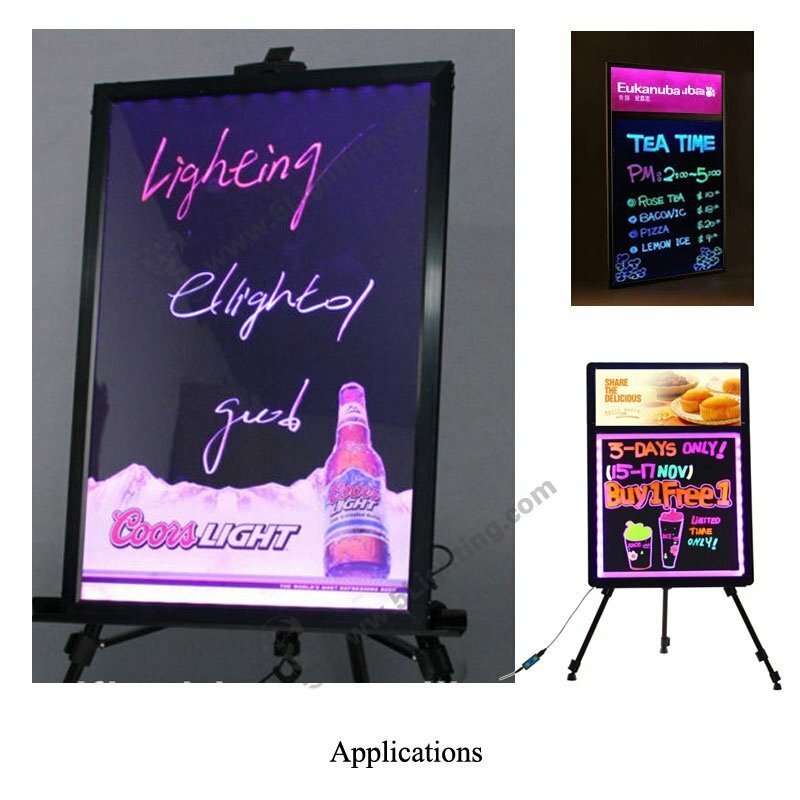 : Other places need to use advertising light boxes to display ect. 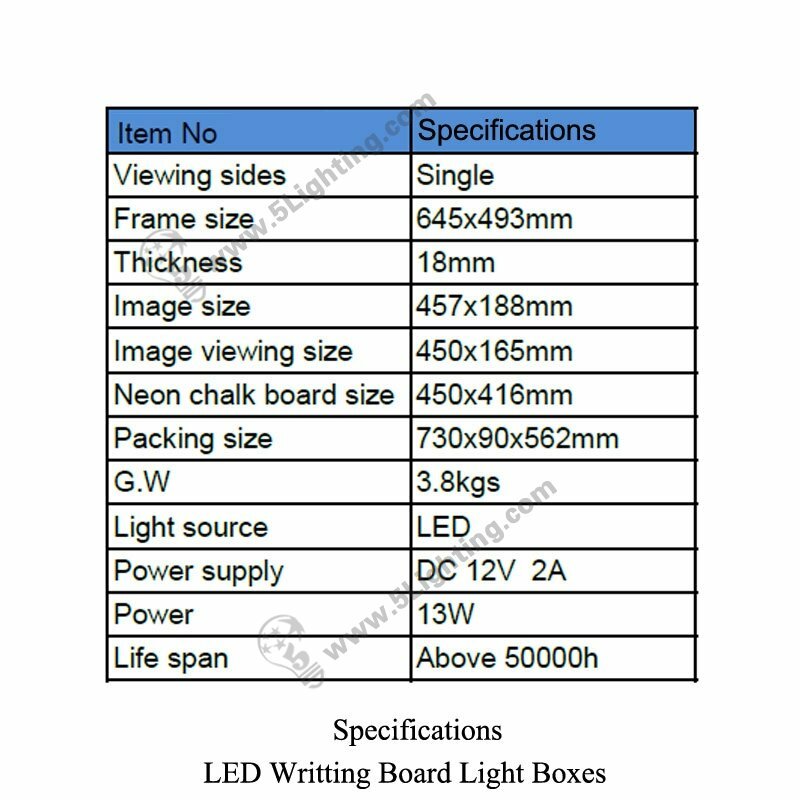 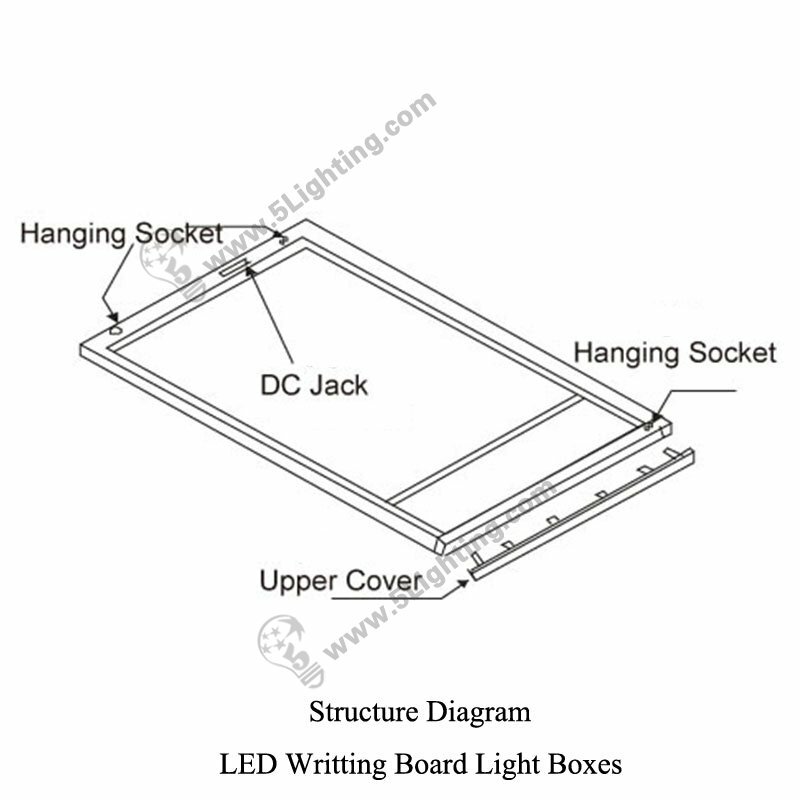 Good quality LED writing board light boxes from 5 star lighting factory !